From our humble beginnings over 25 years ago repairing our first component parts, we have earned the trust of the Aviation industry. This trust and commitment to customer satisfaction has led to expansion into new challenges, approvals and awards from the most respected names in the industry. We achieved this through the execution of our philosophy that the right people, right tools and right training are the building blocks of success. In combination with our multiple facilities throughout North America we have positioned ourselves to better serve our customers growing needs. Our diverse set of skills and capabilities now include MRO services for OEM’s such as Rolls-Royce, Honeywell, Safran, Airbus Defence & Space, Sikorsky, Bell Helicopter and more. 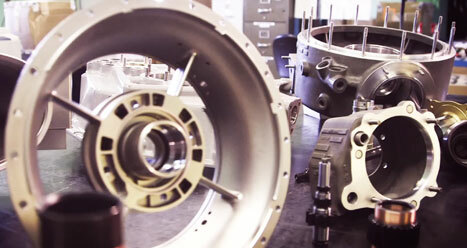 Additionally, we provide the distribution of aerospace parts and components for the rotary industry. We also offer services of fleet management and leased aircraft for operators around the world. Whether turbine engine or dynamic component repairs and overhauls, our large list of capabilities and special processes saves millions of dollars for aviation industry operators every year. Satisfied customers are our most important asset. Without them we wouldn't exist. Trusted by OEM’s and relied on by operators worldwide, our MRO services include the highest quality assembly overhauls, modifications and engineered repair solutions.